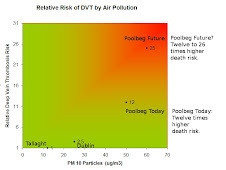 The Galway Tent Blog: DONG Would Not Choose Poolbeg. Question To DONG Engineer: DCC for curious reasons decided on the Poolbeg site before involving DONG. Would you have chosen the Poolbeg site? Answer From DONG Engineer: No! A nearby C-level executive of Indaver, a competing incineration company, was seen to chuckle at the answer. It seems Indaver agreed Poolbeg was inappropriate and thus did not bid for the contract. So it seems incineration industry professionals view Poolbeg as a bad and uneconomic location but the residents of the DCC bunker built on the Viking town of Wood Quay know better. Why did DCC choose Poolbeg? 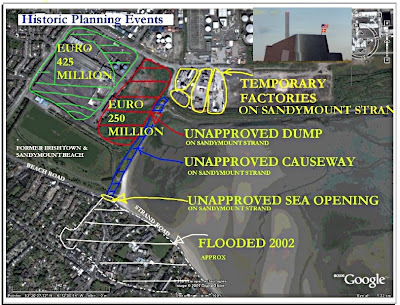 Why are the developers of the world-class Poolbeg apartments, proposed for 2 brownfield landfill sites just 200 metres from the incinerator and valued at €650 million, not publicly commenting on the proposed incinerator? What is the angle with the adjacent Ecocim facility, the environmentally friendly cement company? 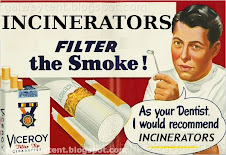 Any connection with 'reuse' of certain incinerator products? "Go Figure!" As Tony 'Orlando The Rat' Soprano would say when running his waste business in New Jersey from Bada Bing. Covanta is also HQ'ed in the highly polluted state of New Jersey, possibly out-back at Bada Bing. New Jersey is also HQ to several pharma/chemical companies - these companies lobby in Brussels with BASF to set or perhaps undermine EU toxicology standards. (a) This is reported by a credible source. Nevertheless, treat the report as an allegation, until Mr Norgaard confirms it.